During one moment late at night in the archives, Seth proposed that Remy had guided me, from the other side, to help with this project. It is a big idea. What happens when we are no longer a part of this world? Is there still influence? Where are we, in the web? What is the web, and when is the web, and where is the makeup between this, life, and that, beyond death? How does it all work, within space and time, and without? And if Seth is right, then when did it start? May I make it so? Or did it make me? When did it start paying attention? Rummaging the thrift stores of Sonoma County, I was seeking material to appropriate for a holiday project. My curiosity was drawn to anything that might dictate a festive spirit. One small, yellowing book with a red cover, The Tree Angel, landed in my hands. The simple graphics of pine trees and an angel suited my needs, and for fifty cents the price was right. Returning home, I turned its pages a bit more thoughtfully and soon realized this was not a new story, that my first encounter with this angel had been years before, and full of drama, and intrigue, and a neck brace. There was a connection. As the youngest little whippersnapper in a house full of brightness, my first grade teacher, Mrs. Stonewell, likely saw me as the obvious, fully dependable choice for a lead in the upcoming production of The Tree Angel. I would memorize the lines, speak confidently with a well-projected voice, and likely not fall into a protracted nervousness in front of the audience of many students. In my role as the woodsman, I was asked to challenge the belief that decimating all the trees from the forest was a good idea. After engaging with a beautiful angel and meeting a cast of animals, flowers and talking trees, my ways were changed, and the trees then soared into a higher realm of being. There is something more. So proud of my stardom, I don’t think my little ego realized I was the villain. I spent days creating the perfect cardboard axe. I remember my costume, too. I wore it to school the day of the show: jeans, a white turtleneck underneath a red plaid flannel, and a neck brace. Yes, this little diva had slept on his neck wrong and couldn’t move his head from left to right, so my Mom wrapped me up with a neck brace before sending me to school. Kids would be kids, but I confidently countered their heckles. I still remember the 5th grader in the bathroom. My nervousness had pulled me from class to go recite lines somewhere more private. When this ten-year-old saw me, he ridiculed my look, but with my gaze from the mirror, I stared him down. “I’m the lead in the play. The show must go on.” With the swish of a turn, I departed by way of the squeaky bathroom door. And the show did go on, and it left a mark. Or maybe it was Remy. James Metzger as the woodsman in The Tree Angel, circa 1982. Life had left plenty more marks on me by this point. Finally ascending from the darkness of addiction, I found myself moving from less than ideal circumstances into an apartment of my own. Collecting random memories from storage, I came across my handmade axe. The edges of cardboard felt more than familiar in my grip. I saved it from the dust bin and nestled it on top of the books on my dresser. Taking a year off work to sequester in West Sonoma County, I still displayed my axe with great honor. Underneath its perch, a picture of my six-year-old woodsman self was framed. While I had known of Seth Eisen, from seeing Homo File a couple years before, I only first met him at a gathering in Saratoga Springs. After a night of challenging conversation whirled within hours of dance, he invited me to come and brainstorm with him on his developing project, Rainbow Logic, the following week. What was to be a couple of simple hours extended into months of collaboration. One evening in the archive, glancing over the bookshelf, I was drawn to a small red book, The Tree Angel and the variety of pieces fell into order. And I shared these stories with Seth. And amidst the tendrils of magic consistently weaving throughout this creative process, Seth proposed that Remy had chosen me to help with the project, from the other side. It is a big idea. What happens in this world when we are no longer a part of it? Where are we in the web? How are we remembered and what do we leave behind? The questions, now, have become a bit different, but that’s what happens when things come around again, and again, and there is work being done. Things find new flavors. They offer new insights. We learn new things and see things in new ways. But still, where is the interstitial makeup between this life and what’s next? How does it all work, within space and time, and without? What is a story and how does perception tell us what is true? Will we be remembered? Will it come around again? And since it is true, when did it start? I make it so. And it makes me. Does it all begin with paying attention? It all begins with paying attention. James Metzger worked as the assistant director in Rainbow Logic. A meager impression of his creative self can be found at edwardbutcher.com. Enjoy his crafty little humorous book, eddie the nomadic lemming, from amazon. In 1972, I was in high school in New Jersey, a suburb of New York City. My boyfriend at the time worked at Scholastic Books in a neighboring town. His job was stocking shelves, emptying boxes, doing deliveries. He came to see me one night while I was babysitting around the corner from where I lived. He had a book for me. He said I think you will get this book; I don’t think many people would. 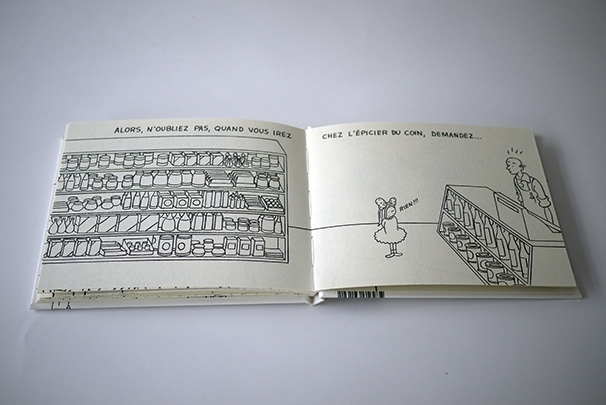 The book was Arm in Arm by Remy Charlip. I adored that book, it was unlike anything I had ever read, and I also recognized a part of me waiting to be discovered. This was way before I knew Remy as a dancer, or even myself as a dancer. At that time, I was studying ballet, jazz, tap. I was in choir. I loved dance and theater. My primary love was singing. I wanted to learn about the body and the mind. I did not know what I was to become. In 1979, after a short period of school in Colorado for dance therapy, I moved into New York City. I saw immediately I was not to be a therapist but a performer. Through many trials and error, I literally stumbled upon improvisation and post modern dance. To support myself, I waited tables and then in 1983 - 1984, I worked as the assistant to the publisher of the Village Voice. I studied dance, saw dance, performed dance every minute I was not working. I befriended the great Burt Supree who was a dance critic for the Village Voice. I eventually left that job. Burt hired me to do some organizational things for him at his home office. He lived with his partner Remy Charlip. 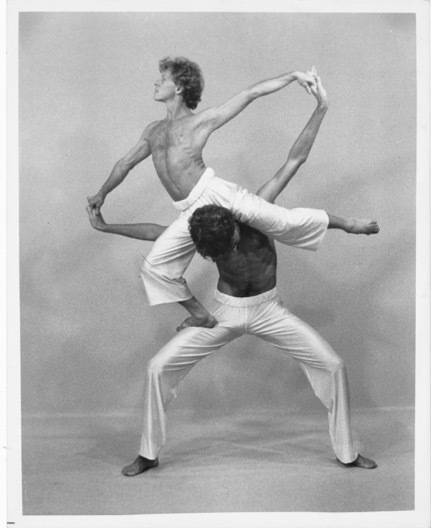 In 1983, I was a dancer in a piece that was produced by choreographer/director Elise Bernhardt. A procession of 250 dancers of all ages crossed the Brooklyn Bridge in celebration of its centennial year. The popular and critical response to the festival inspired Bernhardt to establish Dancing in the Streets, a not-for-profit organization dedicated to producing free dance performances in unexpected public spaces. The choreography, from Airmail Dances, was by Remy Charlip. Each dancer carried and danced with one of his trademark towels. At some point in this time, I rediscovered Arm in Arm on my bookshelf. I finally made a huge connection. Sometimes we are gifted with our future and don’t even know it when it is happening. It is a great coincidence of influences, I think. Unsuspecting and then suddenly relevant. I think Remy was like that, the little I knew of him. I am so grateful to have had these experiences to lead me to new ones. I will always cherish this man as someone who came in through some inexplicable air wave and left me with an improvisational approach and a sense of humor in my body. Thank you Remy. Don't Upset the "Spider Goddess"
In 1997, I was a disillusioned artist living in San Francisco. For six years prior, after graduating from college with a degree in art, I wanted to be a painter but did not possess the networking and self promotion skills necessary to establish myself in the art world. I threw myself into various things: graphic design, cartooning, illustration, film making, acting, dance, set design, and performance art, but none of it led to much. Flailing, unable to focus or commit, and pessimistic about making a living as an artist, I was stuck. Then I met Remy and he offered me a job helping him with his children’s books. I was thrilled to have an opportunity to work with an accomplished, well-known artist, to be taken under his wing, and learn the secrets to his success. I had no idea what I was in for. Remy could be a difficult boss. He was very particular about how he wanted things done. Remy insisted that I do things over and over to get them just right. He focused on the smallest details, believing that they were the key to making something truly great. Occasionally, we clashed. I sometimes perceived him as petty, manipulative, and infuriating, while he saw me as intentionally slow and difficult. Epic fights ensued. Remy’s impulse was to resolve the issue, to challenge me, which could lead to my feelings getting hurt. I would behave in a sullen and aloof manner, holding onto my anger for days while we worked in an awkward silence. Most of the time, however, we thoroughly enjoyed each other's company. Although we worked hard, we also took frequent breaks. If we got hungry, we’d stop to eat. If we were tired, we’d take a nap. As a dancer and Alexander teacher, Remy was quick to notice bad posture, which lead to impromptu bodywork sessions. Occasionally, we would hear about an interesting movie and stop working early to go see it. Remy believed in working hard, but also in enjoying himself and I happily accompanied him on his many outings to restaurants, dance performances, awards ceremonies, and to visit friends. Over the the years, Remy and I developed a deep and enduring friendship, partly based on our mutual devotion to making beautiful things. We bonded over making things perfect. Recognizing the folly in our obsessiveness, we half-joked about always leaving something imperfect in order to not upset the “Spider Goddess”. Remy and I were also drawn to each other as opposites: He was a caregiver and I was self-absorbed; he liked being the mentor and I liked being told what to do and then rebelling against it; he would confront me, and I would withdraw. Fast and slow, emotional and detached, New York and California - we would drive each other crazy but we also somehow balanced each other out. I discovered that I was suited to meeting his high demands and I came to enjoy the different aspects of my work; painting backgrounds, cutting and marking pages, cleaning up artwork, making lists, organizing, making copies, and correcting proofs. While the work could be tedious, I had an affinity for it and was grateful to be a part of something greater than myself. I enjoyed making a contribution to books that would go out into the world, be read by and influence other people. While working as Remy’s assistant for three years, I helped him with the production of three picture books (Peanut Butter Party, Mother Mother, I Feel Sick; Send for the Doctor, Quick, Quick, Quick, and Sleepytime Rhyme) and did the lettering for another (Why I Will Never, Ever, Ever, Ever, Have Enough Time to Read This Book). During this time, we reviewed contracts, corresponded with publishers, co-taught bookmaking workshops, mounted exhibits of his artwork, and performed at dance events. Remy also introduced me to inspiring artists such as Lou Harrison, Ruth Asawa, and Paulus Berensohn. My time as Remy’s assistant greatly informed the person and artist I am now. Remy helped me immeasurably both as an artist and in my personal life. Remy was always interested in what was going on with me and was always present to offer support and advice. When I decided it was time to focus on my own artwork, I applied to attend Penland School of Crafts in North Carolina and Remy wrote me a glowing recommendation. Two years later, when I returned from Penland without a job or a place to live, he asked me to illustrate a book he had written and offered me a place to stay. Remy encouraged me to go to 12-step meetings, which led to therapy and the confrontation of emotional/psychological issues to arrive at some life goals. Eventually, I went back to school, found work as an artist and designer and fell in love with an amazing woman, who I married and have a daughter with. During his lifetime, Remy’s incredible generosity helped many - he was compelled to reach out and lift up people who needed it. I am forever indebted to Remy for his support and I'm eternally grateful to have worked with, and to have been friends with such a truly remarkable and loving man. Eric Dekker is a content manager for CrowdStar, a mobile gaming company in Burlingame, CA. 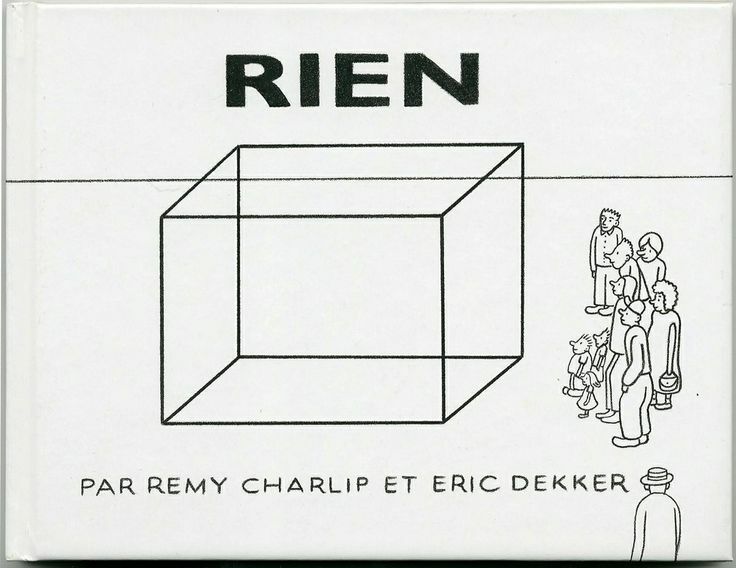 He has also worked as an artist and designer for various media, including illustrating the book, Rien, written by Remy Charlip. He lives in Oakland, CA with his wife and daughter. I knew nothing of Remy as an artist, author, or choreographer. He somehow eluded me for 27 years. For someone as prolific and talented as Remy Charlip, it baffled me that not one of his books managed to echo through to me as a child. I now touch the pages of his life, the meticulous detail and skill he birthed into existence throughout his time on this Earth. I grew to feel him as that soft spot at the edge of my vision, the mysterious and inevitable encounters with the natural world, an urging towards forgiving myself, in order to be reborn. A few months ago, I found myself breathing in the salty air of Inverness, working with my fellow collaborators of Rainbow Logic. Surrounded by lush trees, cool earth squished between my toes. I felt unbridled, sensing that I was exactly where I was supposed to be, in the story of my life. Dry leaves disintegrate under my heels, the breathing of my new companions pushing me forward, deeper into the forest. Crescendos of conversations arise when the silence becomes too heavy. Tales of running feverishly through Baltic forests blindfolded, tied together in order to rediscover the dulled primal senses that still pulse through our human experience. Laughter and "RemyISMs," the endless stream of puns that now permeate every rehearsal, have become our own language. Remy started to come through the questions we were asking, the dances and songs that sprung fourth like a geyser at times. This is one of the first times I have ever felt like I was truly "channeling" something from another place, outside of time and space. So much of Remy's life was about getting permission. Deeply influential people dropping into his life and saying "HEY you have a gift, it is essential to this world". My creative influences cradled me in a similar way, always encouraging me to reach further, to push the boundaries of my artistic vision. We sit on our hands and stifle our impulses so often in this life that sometimes we forget the magic that is inherent within the creative process. The liberation of permission to stop filtering, to let go of convention, and to root ourselves in the present moment has been invaluable. It took me a long time to let go of the conventional story that I had told myself to live. I got so wrapped up in this ideal version of myself that I completely lost track of what I actually enjoyed about theatre. I dove so far into the hustle of being an artist that I pigeon-holed myself into a very limited field of expression & vision. As I researched his life more I found that Remy had friends on all sides trying to get him to specialize, to "focus" his discipline to one track, and he simply refused. He continued to expand his work, keeping detailed journals of the dances, illustrations, poetry, and songs. He truly managed to find a way to dance through each moment of his life. His creative journey as a queer artist was like a bucket of cold water over the head. Having survived America during the great depression and through the trials of WW2, Remy landed within his creativity in the 1950s. Without any sort of guiding structure, or support, he connected with a rag-tag group of innovators and hustlers who managed to not only find themselves, but truly reinvent their disciplines in an age where they could have easily been destroyed for just being their true selves. Sometimes the harsh perspective of a world that despises you and wishes you to fail is what it takes to shake you out of your privilege and cozy illusions. I needed a good shake, I needed permission to fail, I needed to change. Remy helped to show me the way back to myself. I now stand arm-in-arm with my ancestors, their struggles behind them. I face the next generation with their guidance. With their grace. With their permission to disturb the universe. I will do just that, thank you, Remy Charlip. Remy Charlip revisiting trees that years earlier inspired his Garden Lilac dance. Robertson Blvd., Santa Monica, California. Photo: Kevin Gralewski (used by permission). Remy Charlip mastered how to turn poison into medicine. He infused his art with imagination and the power of healing (Before Me Peaceful) drawn from his life or learned from friends, lovers, fellow artists and teachers. He danced around the living room to offset boyhood pain, and cheered himself by envisioning a cross-legged horse in a lump of clay then making it. He turned household objects, discarded papers and boxes into costumes and theater sets (Paper Bag Players), and turned illness into stories for pictures books he wrote and painted (Mother Mother I Feel Sick Send for the Doctor Quick Quick Quick). If lonely, he’d hold himself (Meditation); if bored, he’d dance in a bed, with a towel, in a doorway or on stairs (Household Dances); or play (Dress Up and Let’s Have a Party, Arm In Arm, Peanut Birthday Party). Remy learned to sing and to sign, and demonstrated how to communicate without making sounds (National Theater for the Deaf, Handtalk), or to see without using our eyes (The Seeing Stick). Remy loved to be touched (Ten Men, Ten Imaginary Dances) and encouraged us to caress one another (I Love You, Sleepytime Rhyme) and enjoy life (Hooray for Me, A Perfect Day). 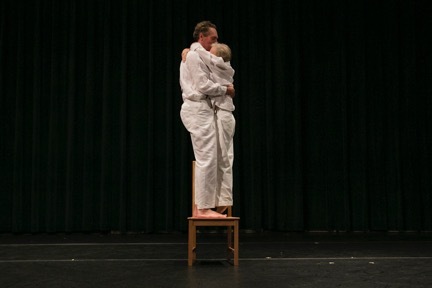 When a stroke impeded him from making art, he dug deep and created one last dance…for the eyes. He was a national treasure. Seth Eisen’s Rainbow Logic: Arm in Arm with Remy Charlip captures the richness of spirit that emanates throughout the art of Charlip’s life. Experience an animated version of Remy Charlip's Sleepytime Rhyme, music by Lou Harrison, presented by the queer cultural center. Julie Lazar is a curator who collaborated with Remy Charlip on many new projects including, Amaterasu for The Museum of Contemporary Art, Los Angeles; Remy Charlip’s Ten Imaginary for MoCA’s Territory of Art radio series; Harlequin: A Movie Proposal exhibition for Barnsdall Art Park’s Junior Art Gallery, as well as on a commissioned drawing for LA Eyeworks, among others. She organized A Perfect Day at Montalvo Arts Center celebrating Charlip’s life with dance, workshops, hikes, storytelling, food and an artist’s book signing. On Being an American, Gay, Multidisciplinary Artist, Formed in the Post-Modern Moment, Working in the American Post-Post-Post-Modern Moment on a Multidisciplinary Piece by an American, Gay, Multidisciplinary Artist Formed in the Post-Post-Modern Moment, Celebrating and Honoring the Life and Work of an American, Gay, Multidisciplinary Artist, Formed in the Modern Moment. Remy Charlip! What a joy, and a what world of sweet considerations and gentle lessons he is proving to offer me, as I work into our 4th month as a performer in Rainbow Logic, the now, I believe, official title of Seth Eisen’s The Charlip Project. it’s the passage in between. of an artist and the world. As I reread this poem now, I suddenly think about 1973, when the Modern moment in this country was segueing into the Post-Modern moment, as another layer of Remy’s deeply felt inquiry here. American society’s art culture both (1) struggles at any one time with the tensions between economic survival and non-commercial concerns, as well as between righteous rebellion against the oppressive norms of society and idealized “resolutions” to those norms; and also (2) messily arrives at the next stage of its own evolution by a combination of Both-And/Neither-Nor integration and unexpected new niche creation out of the historical tensions working over the decades in which any moment, and artist in that moment, is also struggling. The Passage In Between as a way to see the last 50 years of performance art evolution in this country, as opposed to some more facile “development” or simple pendulum swings? The stanza “Creation happens as release from the mis-match of an artist and the world” lands like a punch almost, in my gut. At 57, I could say I’ve gone down a number of paths of how to interpret and analyze my history of both trying to make (individual art works as well as the “career”) and exploring being. In reading this line, and knowing more about the tensions and anguishes Remy the man also experienced (whereas his work speaks to, embodies, the full breath of resolution and transcendence of tension, of trumping it through simplicity and wit) “release” becomes an aberrant invention, a reconciliation out back, a paradox right here, a sly irony. The world and the artist are not themselves, I think, releasing in any dramatic way, but some dynamic in the mix of their relationship discovers, allows, generates a Passage In Between. I certainly feel … connected … to this line, and inspired by it in a way I would not have been able to at an earlier point in my life, because the world, and being an “artist,” are only at this point each as fully contradictory and layered, as personally efforted yet historically shaped as I now experience them. I love this pic of Colin and me!! And I realized the word "passage" is also often used to specifically refer to a few lines or paragraphs of text, such as in a book! So now, in looking at this photo, "It's the passage in between" starts to mean to me parts of texts of this or that actual book of Remy’s, wherein some integrated blend of Remy's struggle and vision are held, articulated, and manifest. And what texts! And “Have a bit to eat and drink. Read from picture books and think” (from A Perfect Day). The illustration for these lines — this passage of the book — has the father and son sprawled out on the floor, looking at quite a few picture books. Upon inspection, they are all Remy Charlip children’s books. If not quite the Droste effect (which he did use in Arm in Arm), this reintegration, this holding of the prior expressions in an image (or phrase — an awareness he had perhaps especially as a choreographer, as much as a writer and illustrator), connects to the warmth and trust one feels reading the book as much as the lovely story itself. Remy’s art was, among other things, so much about holding. His core gesture, I am feeling across the psychic span (I never met him, sadly), is an embrace. He holds himself, those around him, the splay of art forms he worked in, and for me, the tensions of a rumbling art world’s transitions and workings out. I feel my gayness, for example, which awoke in me in the 1970’s, in some unfolding relationship to Remy’s gayness, but his waking into his sexual self surely happened in the 1940’s. Seth’s location on this timeline (it has changed a lot, in not that many decades, around what is salient, prominent in the America of YOUR chapter of becoming a gay person) is a little after mine, him being younger. Our piece we are making will be performed in San Francisco in 2016, where gayness has very much continued to mean new and different things, certainly in different ways or with different salient, prominent features. These sexuality tendrils becoming sociological plants are of course in the evolving “garden” of this country that Remy, and I, and Seth are sons of. And somehow working in the multiple forms and media of Rainbow Logic, connected, through Remy Charlip’s manifold domains and genres, to Struggle, and to Vision, to Mis-Match, but to Release, and to Creation, just feels artful. As in, art is a way of holding textures, ideas, lines and colors, steps and turns, light and shadow — and pain, and desire to change things, and glee, and celebration of what is here. Be those things in one’s own deep heart, one’s sundry “pots and pans” one can play with (not just “use”), or be they throes and forces on the vast canvas of Western culture’s inquiry and interrogation to its own hardened norms and patterns. Me doing a “Birthday Dance” of the Older Remy, at CounterPulse’s new upstairs rehearsal space, in April. Colin Creveling and me co-supporting books, in rehearsal in June at CounterPulse. In 2006 after Remy Charlip had a stroke I was given the task of packing and moving all of his artwork and personal items to storage and to help facilitate the creation of a list of every item in the collection- a massive task. I worked for several months to support the great effort of archivist John Held Jr. who catalogued Remy’s entire collection. Every single item was carefully tended to, preserving the meticulous order in which it was left and to maintain its longevity for research and study of Remy’s work for many generations to come. Little did I know at that time that I’d be one of the first researchers to use the 958 page “finder’s guide” that John created that summer. During those days I worked methodically, night and day, sometimes with the help of a friend to pack every item in Remy’s art collection in archival boxes, packaged with glassine sheets. Each box was labeled and numbered according to where it had lived-- which flat files drawers and closets. Remy kept practically every sheet of paper, journal, photo and drawing- some dating back to the 1940s. I went through dozens of flat files that had original drawings of every one of his 30 plus books, costume and set designs, including singular works and prints. There were original posters, sets and costumes he’d designed for The Merce Cunningham Company as well as for countless other companies and projects. There were 100s of Air Mail Dances and Mail Order Dances (drawings of choreography) he created for innumerable companies over the years. The scope was epic. Each drawer I opened had a whole life of its own--all of it begging for an immense retrospective that would blow people’s minds and hearts. I remember wondering why that had never happened. Each drawer of supplies was intricately organized in what his son Jules called a “rainbow logic”- pens and inks; watercolors and erasers; fasteners and map pins; all ordered in a perfectly arranged mandala by size and texture and quality. Only an artist/monk of the highest order of Zen could have created such balanced masterpieces, drawer after drawer. A feeling of deep awe and inspiration was building inside me each day as I’d plunged into the deep sea of fine detailed drawings. I was transfixed. And I started to sense the importance of it all on a new level. I knew that my friend Remy was part of a very important movement in American art history but this particular slice of his history arrested me on one particular day with a jolt I wasn’t expecting. I began to sweat and get teary as a realization descended upon me. Besides the impact of looking through the papers of such a prolific artist I was witnessing the resonance of a very sophisticated, wise and evolved human. A tender heart shaped by the many pleasures and challenges of life experience and then reshaped into something artful-- at once, simple and magical. I stared at a poster of the Paper Bag Players from the late 1950s and knew in that moment that someone MUST do something creative with this archive based on research. The work was all about making things up, seeing the extraordinary in the ordinary, bridging the gap between art and life. It was seeping into my skin and moving me to the core. I never felt such resonance with a body of work quite in this way. I had worked in other collections but something was distinctly different here. Was it because Remy was also my teacher and mentor since meeting him at Naropa University in the early 1990s? Was it the recognition of our parallel paths being gay, Jewish artist/performers? Perhaps, but he had an identity uniquely his own and couldn't be pigeonholed. I knew in that moment with certainty that someone must do the work of bringing these hidden gifts to the world. I remember thinking, “who knows, maybe someday I will.” It was the feeling of being an archeologist discovering another culture or sacred Buddhist teachings being uncovered for the first time. Nine years later, after having just finished my show Homo File, my dear friend Adam II (who was also close with Remy) suggested I consider Remy for the next show. The suggestion was daunting. I knew the next piece had to be about someone as equally extraordinary as the last shows (about Sam Steward and Jean Malin and Sylvester) but someone that was uniquely different and apart from them. And when I thought of Remy I remembered that day in 2006 standing in Remy’s home holding the Paper Bag Players poster. What pulled me in was the fact that The Charlip Project would in effect collapse the distance between myself and the subject of the show. And that felt worth the risk. It was in that instant I realized that today was A Perfect Day for that 2006 moment of inspiration to finally come to fruition. After much encouragement by friends and my company manager Alec, The Charlip Project was born. That was November 2014. Thank you for witnessing this process as it unfolds. A Perfect Day was Remy's last book. Published in 2007.